But Maja is much more than a space fanatic. She is also a former, tennis pro on the WTA circuit and has dedicated lots of her spare time supporting children with cancer. But enough from us, we’ll let Maja do the talking..
Why not start off by telling us a bit about your job? My role is to help lead, shape and scale Galactic Unite (an initiative of Virgin Unite). Through Galactic Unite we have the opportunity to educate and open the eyes of future generations so they can experience the world in a completely different way. We are developing programmes that promote education in the areas of science, technology, engineering and mathematics, as well as entrepreneurship (STEM+). Our mission is to encourage and enable millions of students to pursue STEM+ education in order to solve global challenges. 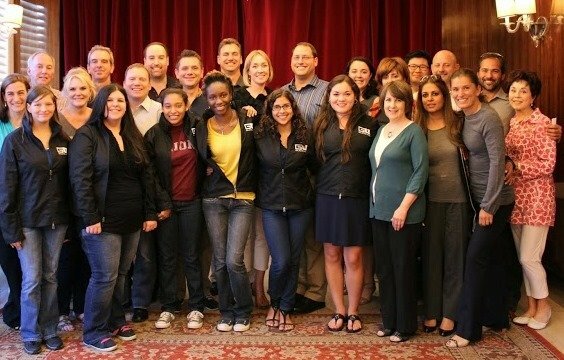 I am privileged and fortunate to have an opportunity to work with this unique and forward thinking group of people. 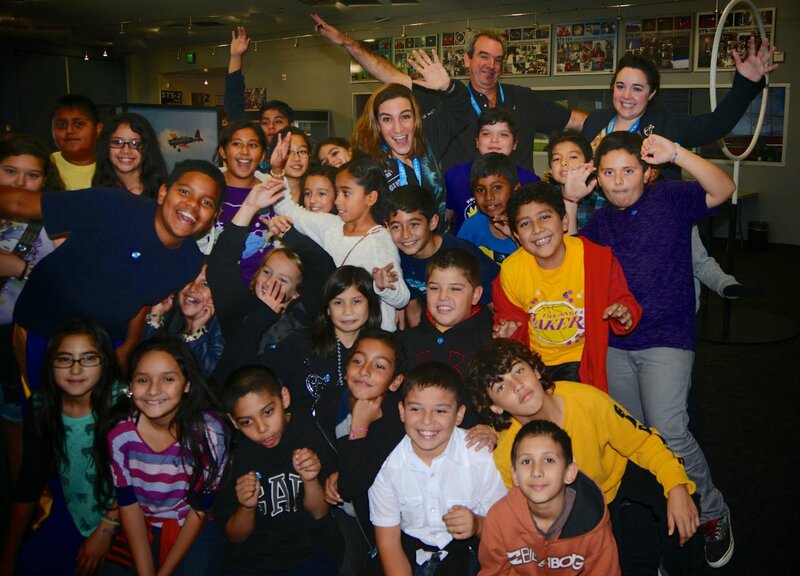 Together we aim to have a significant impact on the next generation. After all it’s them who have the potential to reimagine how we live on Earth and beyond. Where did your love for space come from? I have always been fascinated by space; my imagination has been transporting me to far galaxies for as long as I can remember. I grew up watching movies like Star Wars, E.T and 2001: A Space Odyssey, that dared me to dream bigger, believe that more is possible and to look to the stars as questions that needed to be answered. What is the most important attribute you think your job requires? To believe whole-heartedly in the “Galactic Vision”, be a team player, driven, passionate, dedicated and to never lose sight of the bigger picture... (I think I just described everyone at Virgin Unite!) And as Richard says "you can’t be afraid of failing". What is the most exciting project you’ve worked/are working on? I am always excited about all of our projects, because they are all equally unique and inspiring. If I had to choose one at this moment, it would be the Galactic Unite Global Scholarship program. Why? Virgin Galactic Future Astronauts from around the world are coming together not only to help launch the commercial space industry by signing up to fly into space, but they are also saying; ‘hey, our kids are important, the future of this planet is important and we are investing in that future’. 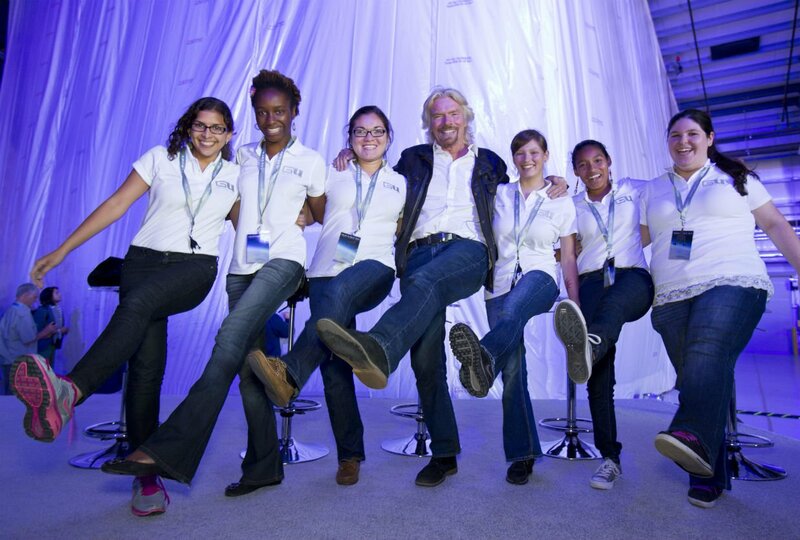 They are joined by Virgin Galactic staff in funding and mentoring the scholars and Virgin Unite is providing crucial support to bringing it all together. In less than two years, we have awarded 15 scholarship awards to students studying STEM in the USA, UK and Africa. We currently have 11 scholars in our program. Now that is pretty exciting! Playing! Horseback riding, surfing, playing soccer, anything that challenges me physically and/or mentally. A great book or a good movie will do too. What one thing would you wish for if you were stranded on a desert island? I could only bare it with someone I love next to me (and a surfboard if there are waves). I think for me, the measure of an achievement depends on the value we put on the impact that achievement has. With that in mind, my biggest or maybe most meaningful achievements would be during the 15 years I have dedicated to working with the Little Star Foundation. Working to help improve quality of life for kids with cancer, and co-founding Humanitarian Wave (a not for profit that continues to create and provides opportunities that produce a lasting positive effect in the quality of life for people and communities in need) have been huge parts of my life. Ha, yes I was. It seems like a different lifetime. I was born and raised in Croatia. At the age of 17 I was one of the top juniors in the world (8th) and at the beginning of my professional career when war broke out in my country (1991 and called Yugoslavia at the time). I was fortunate that during those times I was one of the top tennis players in my country which enabled me to travel abroad and eventually in 1995 settle in the USA. Experiencing war has had a huge impact on my tennis career, but more so, on my ambitions to have a positive lasting impact on others. 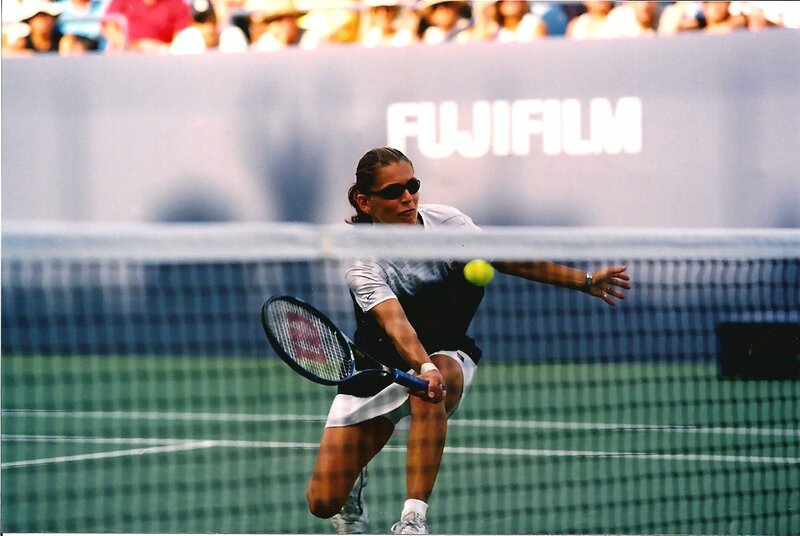 I competed in the Women’s Professional Tennis Tour including all the Grand Slams from 1991-1999 and represented Croatia at the 1996 Atlanta Olympics and many other occasions. Winning two medals at the 1993 Mediterranean Games, which was the first time Croatia competed as a country, was one of the most memorable moments of my career. How important do you think space education is? Human knowledge in constantly evolving and when you nurture education you will always discover new and better ways to do things. Space is the next frontier, not only in deep space exploration, but suborbital travel. This requires people to focus on developing new technologies to move the world into that direction. To accomplish this goal we need to have the vision and the drive to educate people so that we can attain what is possible. If you could make sure you got to see one thing happen in your lifetime, what would it be? I would love to travel across the world through space in matter of a few hours. What do you think Galactic Unite will look like in 10 years’ time? In 10 years, Galactic Unite will be well on its way to inspiring and building a new generation of innovators and dynamic thinkers. There will also be a legacy of Virgin Galactic Astronauts that have not only helped launch the commercial space industry, but also have come together to change the world for the better. Want to know more about Galactic Unite, Virgin’s space travel ambitions and Maja’s work, then look no further. It’s great to be able to highlight and share an insight into the brilliant work our community are doing. Previously we invited Sylvain Filippi for a cuppa and chat – read the interview.